If I Could Only Take One Supplement, This Would Be It! Right there that’s a bold statement fresh out of the gates. If you know my stance on supplements then you know there’s very few worth while supplements out there, let alone one worth writing an entire blog on. But this specific supplement stands out from the crowd in many different regards. The benefits of this vitamin are as undeniable as the amount of research and studies backing it! Not to mention more than 50% of the worldwide population are deficient in it too.. Pretty crazy to think about! For starters we get a minuscule amount from our diet, even when trying to increase it from food! You can get this vitamin fortified in foods, but it comes in a form our body can’t even use. So that doesn’t help us either. It regulates so many functions in our body that it’s actually considered a pro-hormone more than a vitamin.. Regulates the turning on and off of 900 genes in your body.. 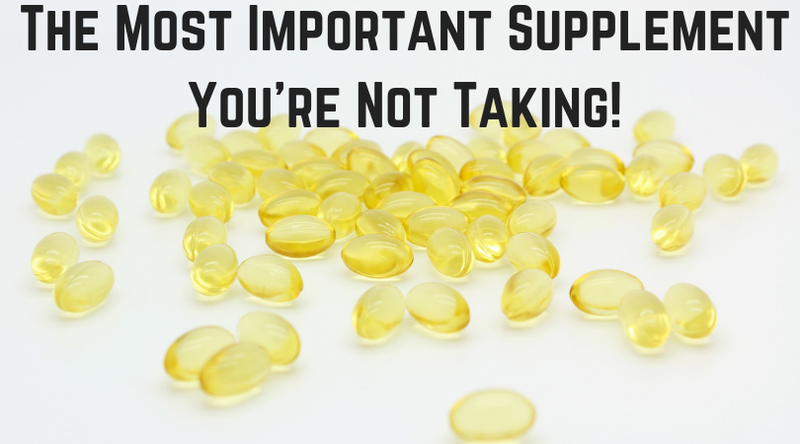 This isn’t some secret supplement you’ve never heard of it’s Vitamin D3, and it’s one of the most powerful and health promoting supplements you’re likely not taking...but should be. For doses ideally you’d want to get a blood test done to see where your levels are, but for most people the range of 2,500-4,000 IU works well. I personally take 5,000-10,000IU per day because of how long I lived in the sun deprived pacific northwest, and I’m likely still playing catch up. If you end up taking Vitamin D3 or currently take it, I’d love to hear your experience it’s literally one of the only supplements that I notice a BIG difference from when I take it consistently. This is absolutely not medical advice and make sure to consult with a physician before making any huge changes to your diet. Do you feel like you’re constantly spinning your wheels with your own nutrition ? You put in the hard work but never see the progress you know you deserve, and aren’t sure what you need to change ? Let me help you out of the diet and fat loss quick sand you’ve been stuck in for too long, and let’s get you on the path to the results you deserve. Click HERE and lets chat about how to get you unstuck and on the path to the fat loss results you deserve while, all while eating foods you love!